Laplace equation with a field-dependent material parameter. where is the dependent diffusion coefficient. Each iteration calculates and adjusts . where :math:`c(T)` is the :math:`T` dependent diffusion coefficient. Each iteration calculates :math:`T` and adjusts :math:`c(T)`. Calculates the conductivity as 2+10*T and returns it. 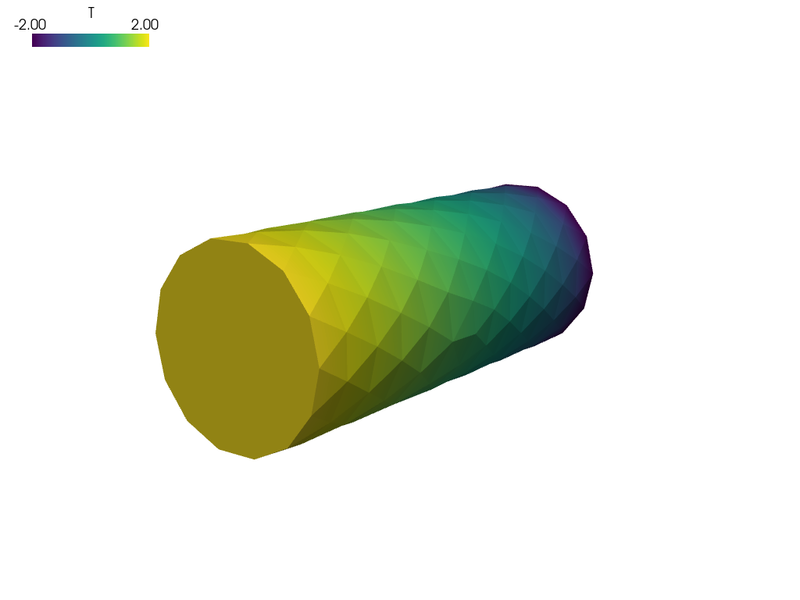 This relation results in larger T gradients where T is small. # - they are the same as in `coors` argument. 'Temperature' : """dw_laplace.i.Omega( coef.val, s, T ) = 0"""